PRODUCT DESCRIPTION: Made from the finely ground fossils of prehistoric fresh water diatoms. 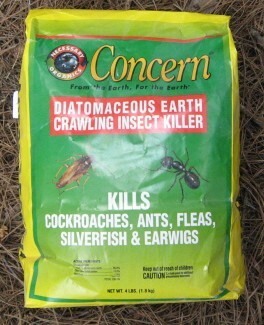 Diatomaceous Earth kills common household and garden pests like roaches, ants, fleas, beetles and other listed insects. 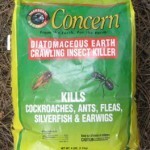 A long-lasting control, it sprinkles into cracks and crevices where bugs hide. WHERE TO USE IT: Where pests are found or are hiding. Along baseboards, carpet edges, under carpeting, furniture, in closets and shelving where insects are seen or suspected. RATE OF APPLICATION: Lightly coat areas to be treated.